This post is outdated, please refer to the Spark page. 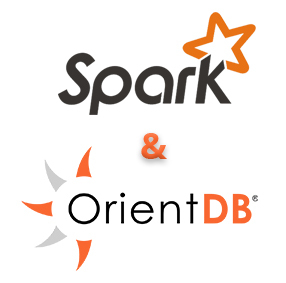 Using OrientDB as a documents database: The OrientDB documents can be read from/written to Spark RDDs. Using OrientDB as a graph database: The vertices and edges can be read from/written to Spark GraphX graphs. Upon performing these steps, you should find a jar file containing the compiled connector in your target directory. Be sure to have created the test database as well (as shown in the connector’s page). "com.fasterxml.jackson.module" % "jackson-module-scala_2.11" % "2.7.4"
We can now share data between Spark and OrientDB. When we deal with graphs, RDDs are not enough and so we must move to Spark’s API for graph computing: GraphX. This full code of these examples is available on github at https://github.com/andreaiacono/SparkOrientDbConnectorDemo.